This week has been filled with visits to Michigan by Donald Trump, Donald Trump Jr., Ivanka Trump, Dr. Ben Carson, Mike Pence and Ted Cruz. All have been making stops in the Great Lakes State. Next on the list: Eric Trump. 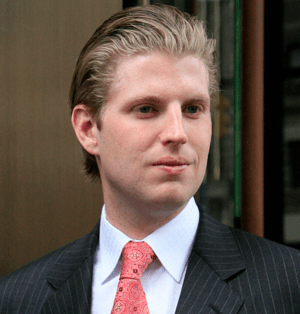 Eric Trump will be visiting the Eastern part of Michigan, Friday, November 4th, making stops in Saginaw, Taylor, and Walled Lake.